Yeah, I know some people would say, Jeepers, creepers, lady, it’s just a CAT – as if that makes the loss hurt any less. We lost sweet number five last night to his automobile injuries. Yes, I know that I have eight other cats that I have brought home, but each and every one is a special personality, just like my human children are individual people. They are all my fur children. Humsa (Arabic for number five) isn’t hurting anymore, thank God, and I sure do want to believe that Heaven is a big enough place for all those special creatures who make human life so much sweeter. If being loved on Earth is a qualification for an animal getting into Heaven, then he’s there. Yes, we could have saved him from the car if we had kept him inside the house all the time, but he loved going out. He’s the one who would go next door to the mosque at prayer call and wait by the door for the people to come to prayer, graciously accepting pets from everyone coming in to pray. Then, he would make the rounds of the street vendors who also come to the mosque because of the people coming in to pray. Yes, he had some close calls with cars before. Once, my husband and I had been to the weekly souk (the Moroccan version of an old-fashioned flea and farmer’s market). Mojo was wearing his favorite khaki shorts, and we both heard the ominous ‘rrriiipppppppp’ when he squatted down to check out the quality of a freshly-dug pile of potatoes offered for sale. He’d split the seat out, pretty thoroughly, too. I gave him my jacket to tie around his waist for emergency modesty (for some reason, he was also commando (of course). If you are not wearing underwear, that WILL BE the day you split your pants wide open. We quickly finished our grocery shopping for the week and walked the block to our car repair shop, where we’d left the car for a minor repair while we shopped. Since we finished the shopping too quickly because of the shorts, the repair was not finished. so Hafid, one of the two mechanics we take our car to, gave us a ride home once we explained Mojo’s predicament. Muslims understand modesty very well. When we were almost home (at the noon prayer time), we saw Humsa crossing the street, dangerously in front of a car that was not slowing down in the street that was also crowded with people. Moroccan drivers are famous for their disregard of life and limb when they are behind the wheel of a car. Mojo was incensed, and shouted to Hafid to stop the car, and he got out and yelled at the driver (who was also endangering PEOPLE), and bent to scoop number five into his arms to safety. What he forgot, in his concern for sweet-natured Humsa, was that his shorts were split wide open. I quickly got out of the car and attempted to shield my husband’s bare behind from the view of about a hundred people who were coming to the mosque to pray (not to get a free peep show). He was so worried about Humsa, he didn’t even notice, and I walked closely behind him (and the kitty in his arms) blocking the view of his trim and compact, but hairy behind as we made it the few feet to the door of our apartment building. Hafid was laughing, and shaking his head from side to side at the same time. He met my eyes, and we both shrugged – what can you do? At least Humsa was safe, that time. He was the one little Honey Bunny danced up to and swatted the first day I brought her home. Humsa was a husky, eight-month old boy – and she was a tiny little scrap of a kitten, but fearless all the same. Humsa was immediately charmed, and he played with her (gently) for quite some time. Everybody else hissed at her, for weeks, but not easy-going Humsa. When I got him, some of the apartment children were playing with him, and one of them announced loudly when I showed interest in the kitten “He’s MINE!” so I didn’t interfere. Two days later, I saw him at school, alone, and figured that mama had seen the kitten and had said “NO!” Since he was not claimed then, I brought the hungry little boy home, and we found out he had a tummy problem (which was probably what got him evicted). He also had ringworm, so we began treating him, and feeding him. He was so used to being hungry that he had what I call a “poverty belly” for weeks and weeks. Remember the pictures of famine children? When you don’t get food, your stomach swells. Humsa, who was our fifth cat at the time, ate every chance he got. I was sure that he was thinking: at least if THESE people throw me out, too, I’ll have a full belly. Eventually, he began to get used to having food, and he didn’t stuff himself every chance he got anymore. I figured he came to the conclusion that he could stay. We had thought he was getting better from his final, ultimately fatal, meeting with the car. It appeared to the vet and to us, that he’d just taken a powerful whack to his hind end, and he was limping, but no broken bones. We gave him pain meds, and kept him inside, and he seemed to be doing OK. When we finally realized that he wasn’t doing OK, it was a Moroccan holiday weekend (Thursday, Friday, Sat. and Sun.) and the vet was not in town. We bought him antibiotics, and started them right away, but whatever was wrong inside was just too much. We made him a pad of towels in front of the heater so he would not be cold – he would often lie there, like his house mates do, in a warm kitty pile, basking in the warmth of the fire, like all kitties like to do. We petted him a lot. Rest in peace, sweet boy. I miss your big golden eyes already. In Morocco, it is not very customary for people to have pets, at least, not pets in the way that most Americans think of their pets: as members of the family. If people have a dog, it is usually a guard dog, and it is kept OUTside the house, to alert the people in the house if someone comes. Generally, in Islamic cultures, dogs are considered unclean creatures, because they have this nasty habit (when they are wild dogs, or NOT pets) of eating garbage, dead things, and licking parts of their bodies that are also generally considered unclean. Many devout Muslims won’t touch a dog. 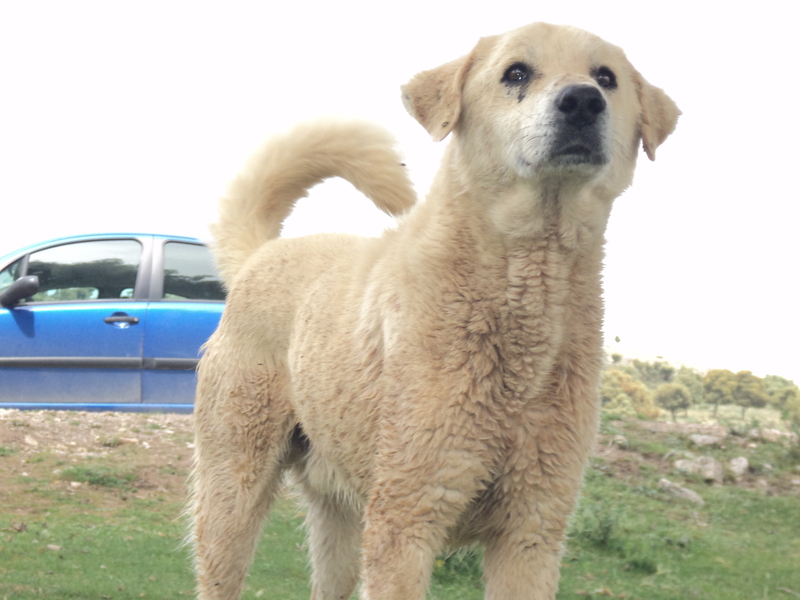 There are stray dogs in Morocco, but not too many, since someone will usually take one (especially if it is male) for a guard dog. 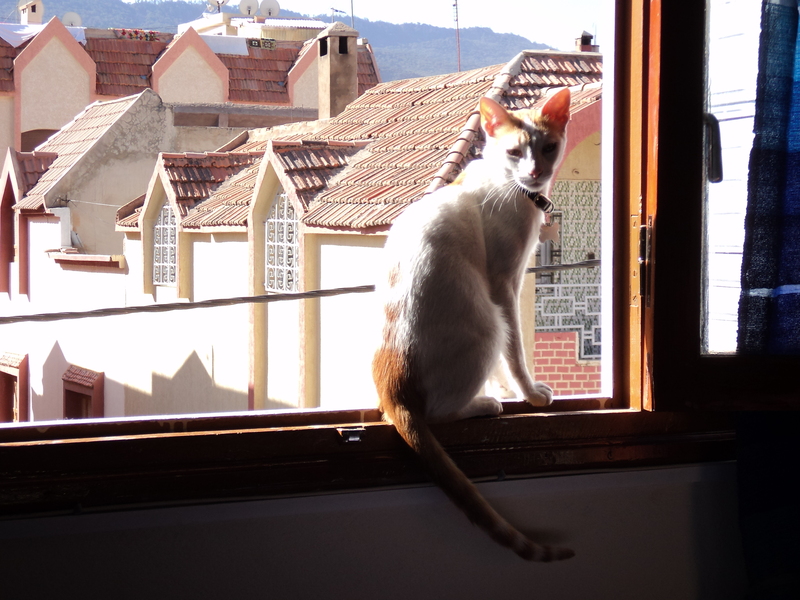 Cats in Morocco, however, are another story. Cats are considered to be vermin: sort of like a large rat. They also, when feral (wild) will eat garbage and dead things, and lick themselves in nasty places, but no one wants a cat for a guard animal. As a result, they are viewed as mostly useless creatures that eat food someone else could be eating, and as occasionally doing humans a small favor by killing a mouse. Because of this attitude, there are LOTS of stray cats in Morocco. This is a problem for me. I have always, always, always had a cat or two. In fact, when I was growing up, my mother paid her way through graduate school by raising underfoot and selling registered Siamese kittens (applehead; sealpoint, bluepoint, lilacpoint: for those of you who know what that means). 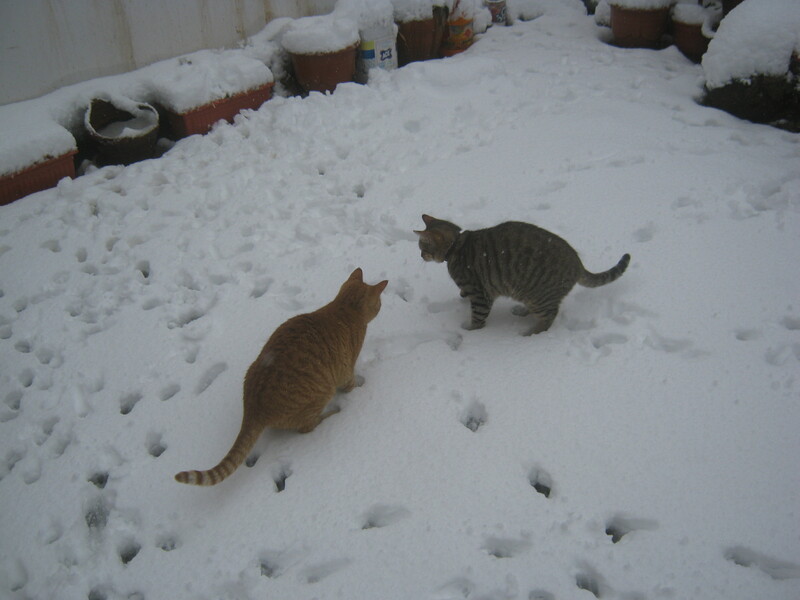 Since we had three to four registered queens (mamas) and one registered tom (papa), when all four had litters of kittens at the same time we could have as many as forty to fifty cats and kittens in the house at once. Fortunately, that did not happen often. My dad tolerated this since each duly registered and sold kitten brought several hundred dollars – in the 1970’s. 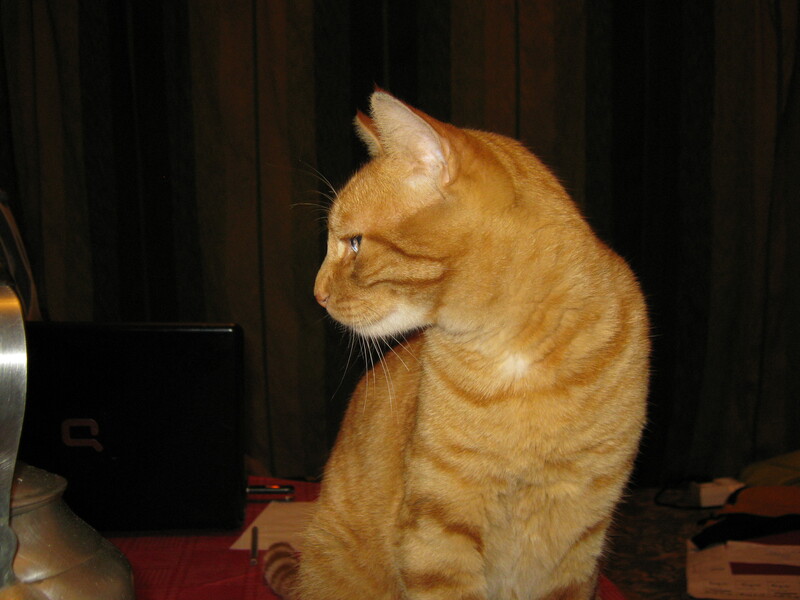 In our house cat hair was a way of life, and if you sat down, there was always a laptop who quickly arrived and asked for cuddles and scratchies – usually two or three. As a result, I understand kitties very well, and I know how loving they can be. All of those kitties were adults, and all were fairly healthy-looking, living there at the marche near all the cafes and restaurants (not to mention the meat market). I felt no burning need to adopt one, since they all seemed to be doing well. 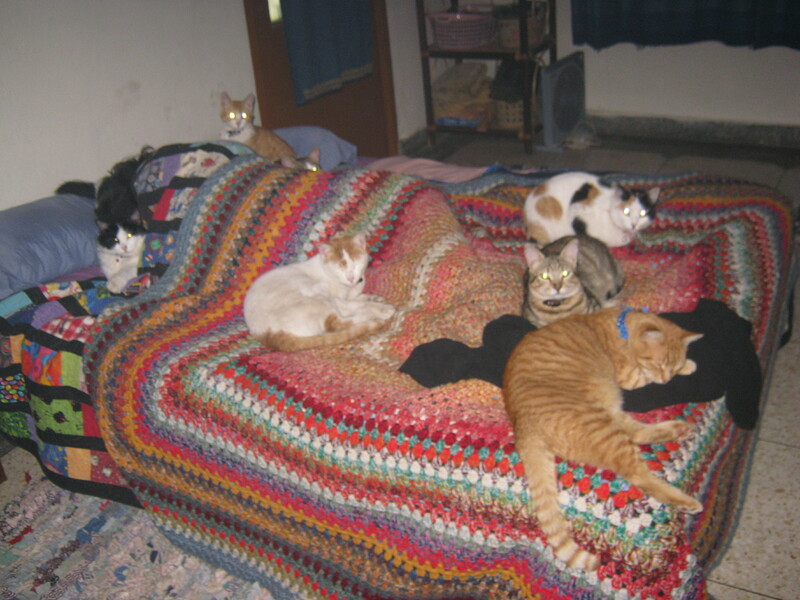 Plus, adopting an older cat is sometimes a tough business: they are already set in their ways. It’s like trying to marry a bachelor, thirty years of age, who still lives at home and lets his mama take care of him. It’s not going to turn out well – oh, wait: I DID that the first time. Explains why I have a SECOND husband. Anyhoo, I waited until Spring, when the year’s new crop of kittens arrived, and then I catnapped one. Moroccan cats are notoriously skittish, and most will NOT let you close enough to touch them, even the marche cats who are accustomed to people feeding them still mostly keep a wary distance. They are this skittish because most Moroccans throw stones at them, kick them if they can and generally treat them like the vermin they think that they are. This type of behavior on the part of most of the humans that the cats see does not make for friendly cats. This kitten had huge ears, and was looking the other way when I swooped down on her and scooped her up in my scarf. I know better than to surprise one with my bare hands. I took her home, petting her and cooing to her all the way, and when I got there, I bribed her with cheese. She decided it might not be too bad to stay. Since then, one by one, I have brought home others who are either adopted by other people, or stay with us. Since I know cats quite well, I socialize our kittens like I used to handle and treat my mother’s Siamese, like they are small, furry children: sisters and brothers of mine. 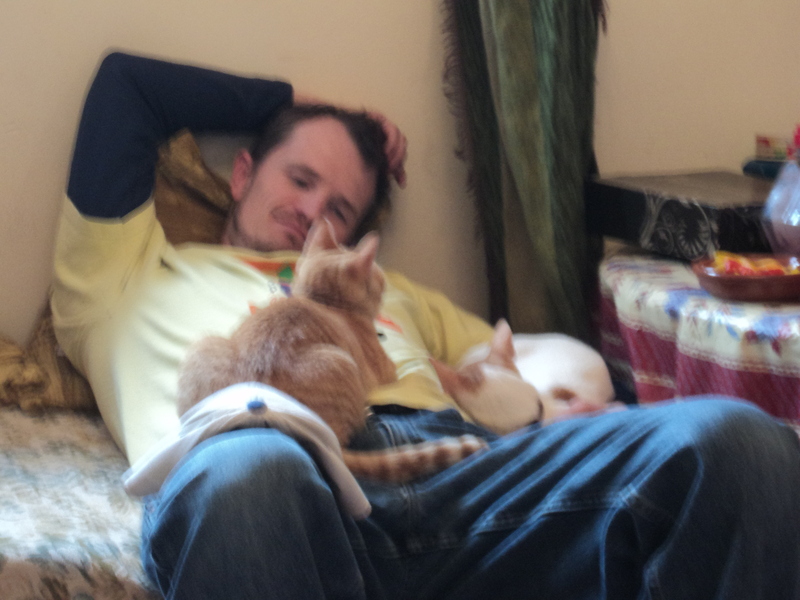 This causes astonishment when Moroccans come to our apartment, and see our cats sitting calmly in a lap, purring. 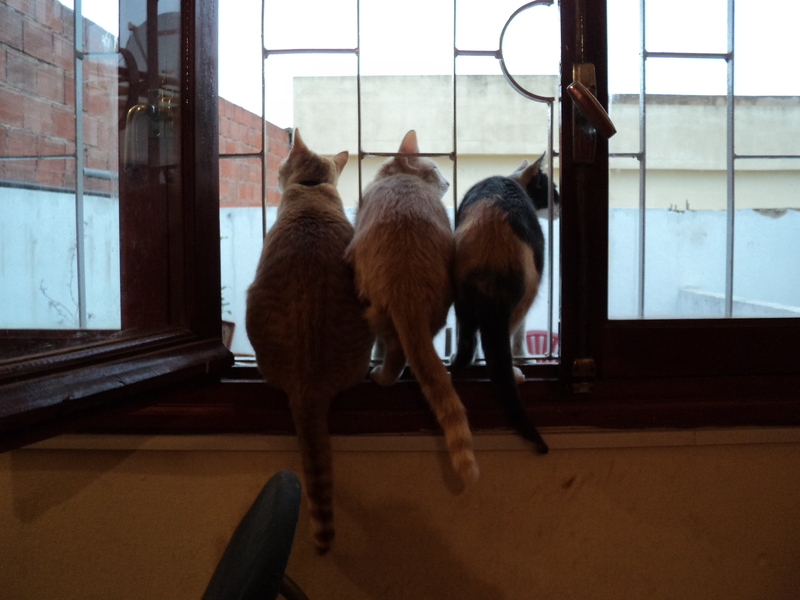 Moroccans are amazed that our cats will approach people and ask for petting. 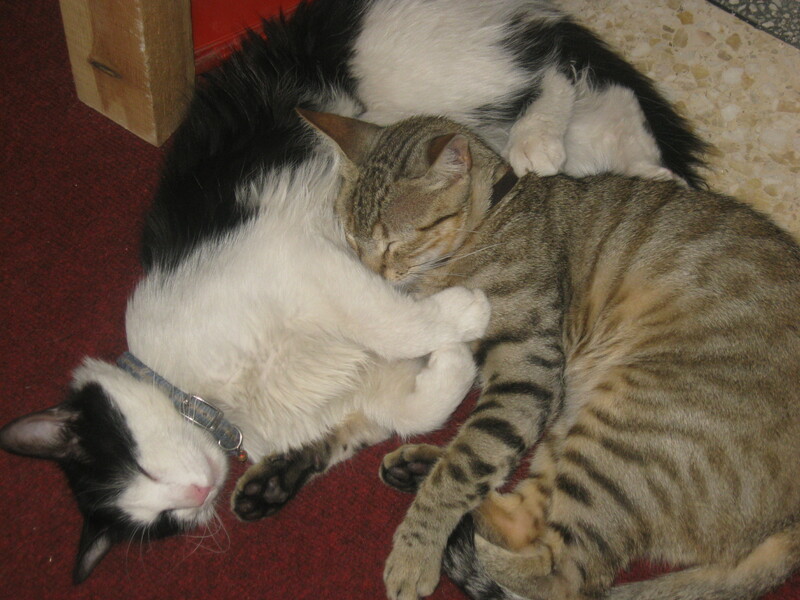 Our cats have never been mistreated and so do not fear people, and they act like the loving creatures that they can be. Humsa (Arabic for number five) likes to go next door to the mosque at the times when prayers are called, and he waits for the people to come by and pet him – and they DO, because of his very sweet disposition, which is a rarity for Moroccan cats. My husband even saw our landlord chew out a motorist who nearly ran over Humsa in the street outside our apartment building. The Arabic probably included a warning about children playing in the street, too – but it was Humsa he defended. I consider this to be great progress for Moroccan kitties!! For several years now, I have been working towards a doctoral degree in Education, specializing in Distance, or Online, learning. I have completed every course but one, with a perfect 4.0. However, I ran into a snag. Due to the University hiring and assigning me to a faculty member who was obviously not up to par, I never got my concept paper for my doctoral dissertation study approved, and because this person left the University rather abruptly, I was never informed of this fact. So, nearly a year after the Concept Paper I thought was approved (and wasn’t), while I am diligently working on 180 pages worth of doctoral dissertation proposal, I am informed that my original idea was never approved under this less-than-competent professor who is no longer there, and has serious problems that I cannot fix on my own. Not having unlimited funds to continue paying for additional courses while this little glitch (to hear THEM talk about it) was resolved, I withdrew, one course short of the goal, and 34 thousand dollars in debt for the loan I took out to pay for the entire doctoral program, now rudely interrupted. It has taken nearly six months for the University to answer my letter of complaint. I got the letter this week, and I still have not read it. I am afraid to read it. 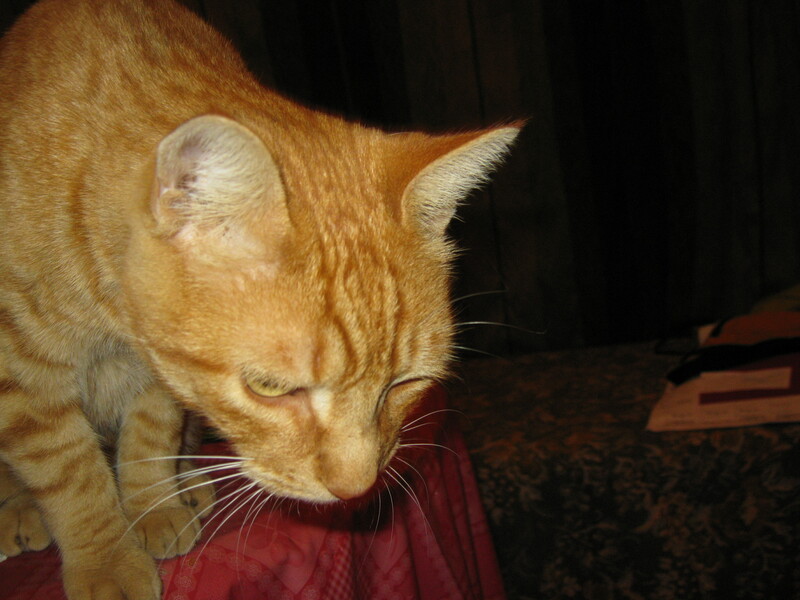 Sitting here writing this, one of my lovely ten felines (Humsa, number five in Arabic) came to sit in my lap, and to chin bump me with his head, asking for back rubs down his glorious orange-striped back, and gazing up at me adoringly with his rich, golden pumpkin orangey eyes as I comply with his unspoken request. There are more important things than degrees. And far more important things than money. There is the love of an incredible creature that owes me nothing – and loves me anyway. 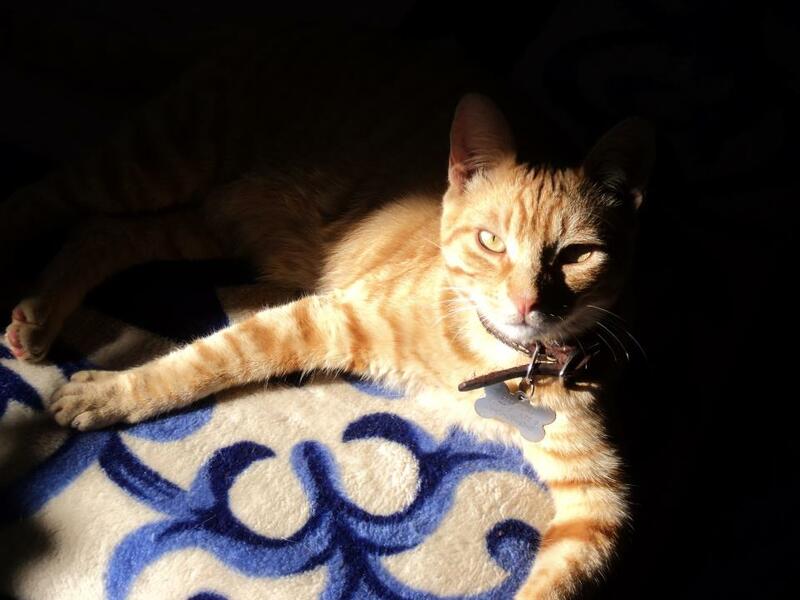 Thanks, Humsa, for reminding me that I am more than the sum of my degrees – I am your cat mom. This is not about husbands. I reached the magic number at two on that one. This is not about children – I reached the magic number of those at two, too. This is not about cars – I have had too many of those to COUNT. Or cell phones, or any other thing like that. This is about cats. I am a cat mom. I have five, and one in foster care that I am firmly, desperately claiming is NOT MINE. Number one is emotionally damaged (not her fault) and has only recently, after a move and a year and a half, begun to really enjoy petting – but she is still astonishingly skittish and shy. A sneeze will still make her bolt. Number two was a little old when he was adopted, and is the most stand-offish of the set. He still asks for pets and cuddles occasionally, but maintains his “I just don’t care” attitude. And he is the roamer who always has to be searched for and rescued. Numbers three and four were adopted together as a matched set of sisters. One has claimed me as her personal human, and the other is full of personality, so my husband likes her best. They are more affectionate than the previous two, but still prefer their space in the same room with their humans, just not actually touching. Number five? We struck gold with him. Humsa is Arabic for the number five, because we fostered him, and did not really want to give him a name, hoping that he would soon be adopted, and would then be someone else’s baby. By the time we decided he was just too sweet not to keep, his temporary name was firmly stuck, at least as much as he was stuck within our hearts. What a genuine lover-boy! He loves people. He loves being stroked, cuddled, kissed and petted. At night, when one of us has to get up to visit the bathroom, Humsa is the only one that ALWAYS wakes up and accompanies us to be petted. He will stand up on his hind legs, paws firmly upon the knee, to better facilitate the resultant ear-scratching and back rubs. If you are sleepy and don’t pet him, he will give you a gentle love bite on the leg to remind you that he is there, and wants his loving. He is regal, kind, laid-back, gentle, always wants to play, and is genuinely just happy to be here. And he is a handsome, big, husky, eight-month old orange tabby who is still growing into what will eventually be a gorgeous, luxurious male, like a regal lion. What a charmer!